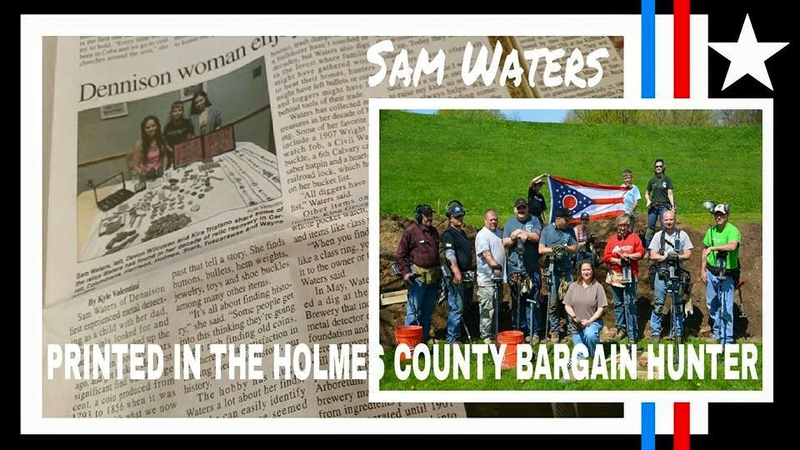 This reporting agency follows my Civil War digs in Ohio. 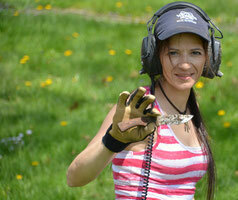 This reporting agency covered part of my story in the tri-county area. 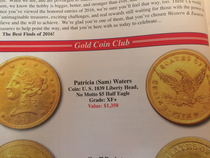 This publication by the NSTCW magazine opened a few doors for me. 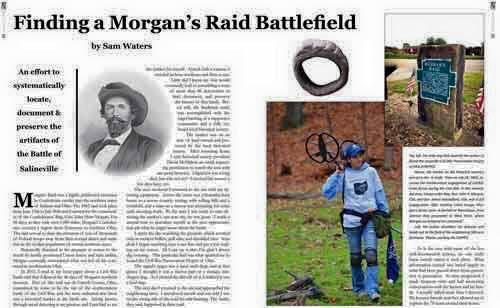 As information is lacking on the Morgan's Raiders through Ohio I was asked to present my continuous project findings at future civil war shows in Mansfield Ohio. 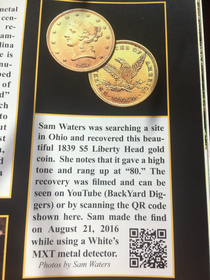 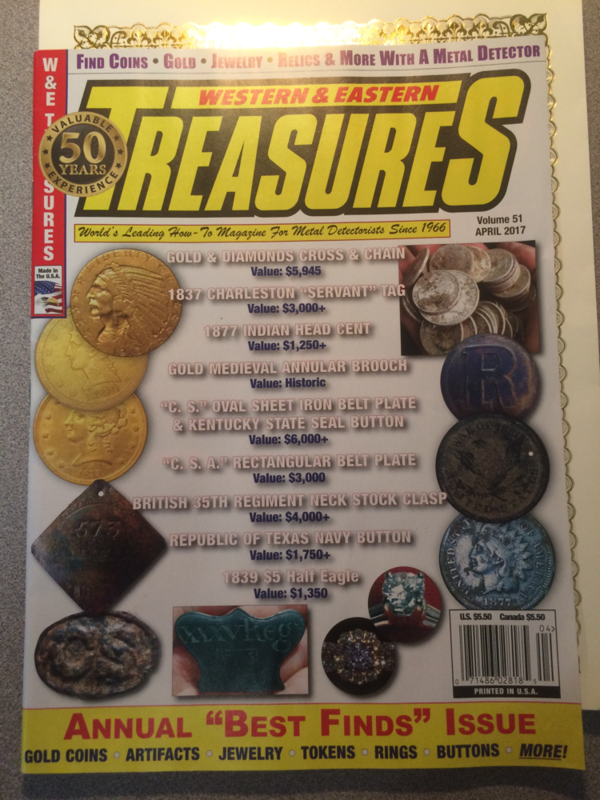 American Digger magazine for my 1839 5$ Gold Coin find from August of 2016. 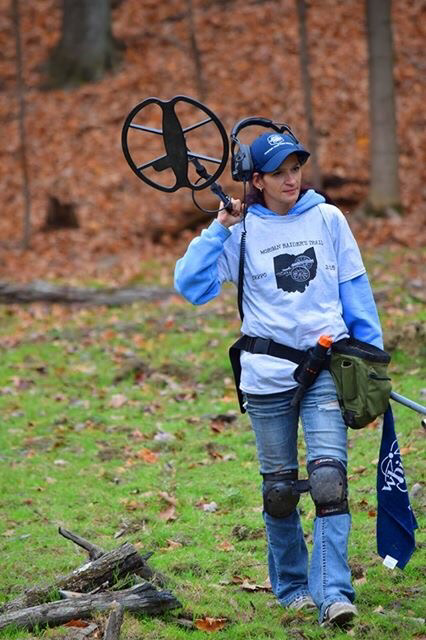 Rang up at 80 in the dirt, rang up at 37-47 air test, definitely had a big halo to ring that high.